The Brumbaugh Group counsels professional services firms - from premier boutiques to global law firms - on marketing strategy and lateral integration. We combine 20 years of experience advising the world's largest legal, financial and professional services firms with a client-service and results-oriented approach. Watch us engage lawyers, staff and external audiences - and move firms forward. The Brumbaugh Group helps law firms and other professional services firms develop and execute marketing strategies to better engage with clients, prospects and talent. We regularly serve as an outsourced Marketing Director to help firms move from random acts of marketing to a more holistic, strategic view of their firm’s positioning in the marketplace. Law firms spend heavily to bring in laterals - but think the integration plan ends with a press release. Managing partners regularly tout lateral hiring as part of their growth strategy. But they admit fewer than a third of their laterals have been retained and actively contribute to the firm’s growth. What’s the disconnect? Many firms make the expensive assumption that laterals will find their way without developing a framework for them to succeed. The Brumbaugh Group's MAX process of messaging, awareness and execution ensures laterals are armed with customized messaging for clients and prospects from day one. A strategic integration plan then generates internal and external awareness, holds laterals accountable and brings to fruition the client transfer and cross-selling opportunities discussed in the courting process. Let us help your laterals deliver their ROI. While Fortune 500 companies invest heavily in internal communications, professional services firms have been slow to adapt. Professional services firms say their people are their most important asset, but most fail to keep this audience informed about strategic pursuits and the firm’s day-to-day activities. Fortune 500 and consumer products companies have long harnessed internal communications to impact the bottom line. These companies see the value of regularly communicating their strategy and the good work being done in their offices and departments around the world. As a result, they see dramatically improved productivity and engagement from employees who understand where their firm is headed and their role in its success. Law firms in particular have been slow to embrace this trend, leaving partners and staff feeling disconnected from their firms and likely to look elsewhere. The Brumbaugh Group has years of experience building internal communications functions at professional services firms. We can help you better leverage your messages and engage your people. We share our insights across the country. Laterals Come and Go. How Can You Make Them Stay - and Generate Revenue? marketing strategy is the key to a more profitable firm. We counsel professional services firms around the world on marketing strategy. From developing unique branding programs and articulating key practice differentiators, to raising profiles, we conceptualize and execute positioning strategies that directly impact the bottom line. Our clients range from premier boutique law firms and other professional services firms to some of the best-known law firms in the world. Jocelyn Brumbaugh’s experience includes 20+ years in marketing and communications roles at top law and financial services firms, building departments, counseling CEOs and driving strategy. At global financial services firm Citadel, she developed the firm’s first strategic internal communications plan, including orchestrating all CEO communications and employee touchpoints. 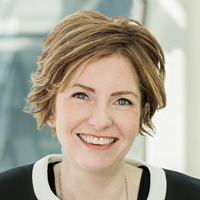 While at top global law firm Baker McKenzie, Jocelyn oversaw the communications strategy for seven international office acquisitions. She launched numerous innovative tools for increased awareness of strategy, laterals and key marketing initiatives, including a Chairman’s blog, a global news portal and the firm’s first coordinated deal collection process. Prior to that she built the first communications department at Foley & Lardner, including handling the communications strategy for numerous office acquisitions, and managed accounts at Edelman Public Relations. In 2006 Jocelyn founded the Legal & Professional Services Council, which she has grown to a 500-member 501(c)(6) organization known in the legal marketing community as the source for high-quality programming on best practices in business development, marketing and communications. In 2017 she launched LPSC NextGen with content geared towards those early in their legal and professional services marketing careers. In 2018, she was named to the Chicago Business Journal’s Women of Influence list and selected to join Goldman Sach’s 10,000 Small Businesses program. She graduated from Miami University of Ohio with a Bachelor of Philosophy and a focus in Integrated Marketing Communications. She lives with her family in Western Springs, Illinois, where she serves on the village planning commission. Mariana Krampien is responsible for web and social media content creation, media relations and awards management. She is also a skilled designer. Prior to joining the Brumbaugh Group, Mariana worked as a legal assistant for a corporate litigation boutique law firm and has experience with non-profit organizations including the French Consulate in Chicago. She earned her M.A. in public relations and advertising from DePaul University, and her B.A. in French and communications from Valparaiso University. With more than 15 years of experience, Sara Goddard is well-versed in strategic legal marketing and business development. She counsels clients on strategy, business development and large-scale marketing projects. At international law firm Vedder Price, Sara advised the labor & employment and litigation practice areas on effective implementation of business development plans. She managed the firm-wide branding and marketing collateral program and designed and planned educational seminars for more than 1,000 clients nationwide. Sara was responsible for the creation of the department’s best practices in process improvement and project development. Earlier in her career at law firm SmithAmundsen, Sara managed the marketing and client development functions. Kristen Onesti is the Brumbaugh Group’s go-to print and graphic designer. Kristen has more than 15 years of experience as a highly-skilled designer who possesses a creative nature that allows her to take on some of the most challenging law firm projects and turn them into award-winning designs. She has a keen eye for layout, typography and attention to detail. Earlier in her career, Kristen was the Senior Graphic Designer at McGuireWoods where she produced collateral and advertising materials including website design, direct mail brochures, store signage, postcards and event materials. She graduated from Illinois State University with a Bachelor of Applied Science and a focus in Graphic Design. Doug Birkenheuer is a highly regarded Chicago-based photographer with more than 25 years of experience in capturing Headshots; enhancing with light to make them look their best. The Brumbaugh Group is always looking for talented people to join our team. The Brumbaugh Group seeks a Senior Marketing Manager to run point on marketing strategy for a growing list of law firm clients. TBG is changing the way law firms think about marketing. Based in the Chicago Loop, our unique marketing infrastructure model resonates with attorneys and has put us on a tremendous growth trajectory for the coming years. Our clients range from premier boutiques to global powerhouses. We value growth and professional development for ourselves, our clients and the professional services marketing community. We are intensely detail oriented and use processes to ensure best practices are implemented consistently. We value the insights all of us bring, while having fun and supporting each other professionally and personally. Interested candidates should send a resume and salary requirements to mariana@brumbaughgroup.com. Thank you for your message. We appreciate your interest in The Brumbaugh Group.